Our final day of biking is one I’ll remember forever. Although just 72 miles long, this ride felt different. I could finally revel in what we had just accomplished. 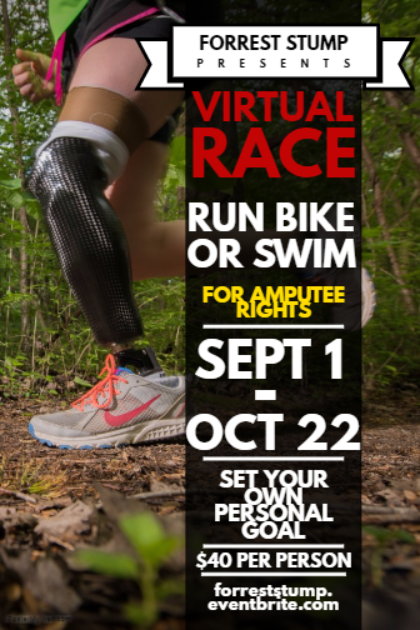 All of this to carry out a purposeful mission to raise the voices of ALL amputees fighting for access to better prosthetic technology and care! And we had some pretty incredible friends rooting for our success at the Challenged Athletes Foundation, Amputee Coalition, Michigan Medicine, Specialized Bicycle Components, Össur, Endolite, Microsoft, Snowday Studio, Cornerstone Prosthetics and Orthotics, among many other Champions. Looking back, swimming, biking and running day in and day out for 8 weeks definitely took a toll on us – physically, mentally, and emotionally. There were days where all we wanted to do was sleep, eat, and repeat! There were also days where we questioned our sanity. But, we knew our journey had a higher purpose and needed to be documented through photos, blogs, and film, and we took the time to make these a priority. We also built in countless events, meeting with people along the way to share our story. What I’m most thankful for are the countless friends and family who flew out to meet us from all across the country. Their encouragement was critical. In our moments of exhaustion, they reminded us why we were on this epic voyage. When you’re in the trees day in and day out, you sometimes need a friend to remind you of the grand forest you’re biking in. 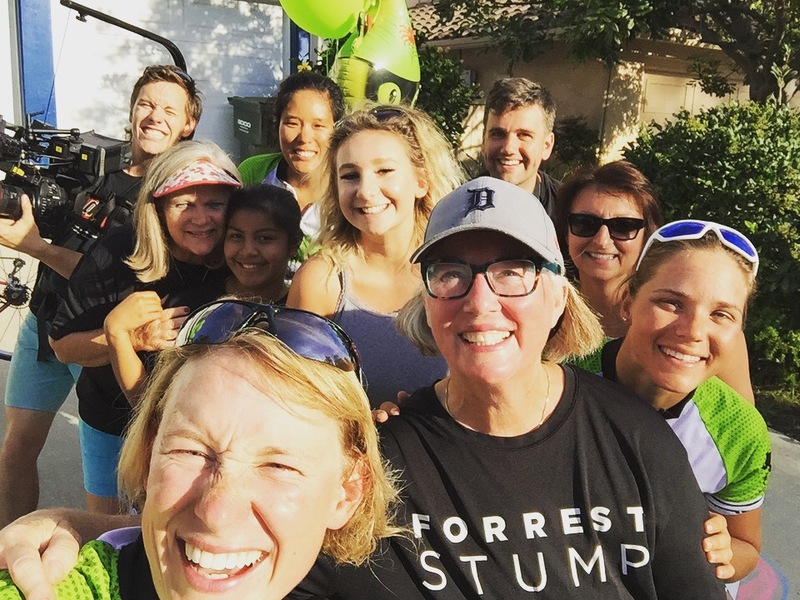 As we climbed our final hill and sped into the driveway of our dear friend, Debbie, who had graciously opened her home to us in San Diego, a wave of emotion hit me. We had done it. That moment passed quickly as another wave hit me…gallons of champagne were now being unloaded on us by my mom! She was venting out 8 weeks worth of being stuck in the camper together. Pay backs! Soaked in champagne and sweat, we collapsed on the driveway, with the sun beating down on our jerseys. The smell was overpowering. We were fermenting bread loaves. As funny as it might be, in my mind, victory will always have that sweet smell of champagne. more than what she expected.